Bev’s Question: Can I get an accurate chart without knowing my time of birth? I have a question for you Anne…is it possible to get an accurate chart without knowing the time of birth? There is some mystery around my birth…I was told that I was born in the Grave Hospital in Ottawa, but when I paid the fee to the hospital to have my records checked for the time of birth, I was told I wasn’t born in that hospital. Well, the most accurate horoscope or birth chart you can have is when you can provide an exact birth time, along with the date and place of birth. This enables the astrologer to find the precise degrees of the Ascendant or Rising sign, the Midheaven point and the twelve houses or life sectors e.g. home, career, relationships etc. From this one can derive very clear descriptions of the key characters (as it were) on the person’s life stage, and their interactions both in terms of harmony and conflict. One can also apply accurate timings to life events. Without a birth time at all, there are two measures I – and probably other astrologers – use. One is to cast a Sunrise chart for the time of sunrise on the day of birth, which places the Sun on the Ascendant point. The rest of the planetary positions, houses and the Midheaven point can then be seen in relation to that time. Alternately, one can cast a chart for noon on the day of birth, which places the sun at the Midheaven or noon point which dictates where the rest of the planets are placed on this particular horoscope. I have been fortunate enough to be based in Scotland where birth times are written on Birth Certificates – a great advantage for any astrologer practising in this country. So I have mostly had accurate times to work with, and have not been at all keen on doing readings without a reliable birth time. However, I have done a few charts over the years for people with no known birth time, casting either Sunrise or Noon charts for them. 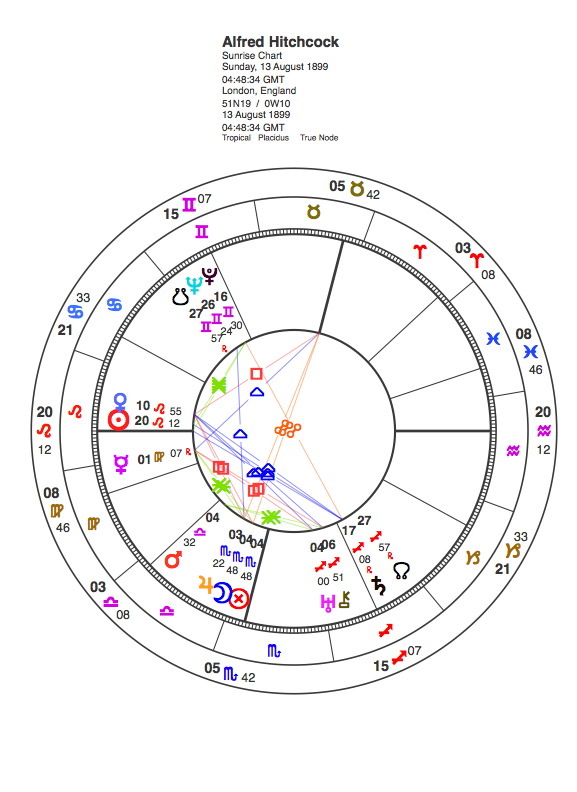 I have used Sunrise charts when clients are more concerned with personal and relationship issues: this is because the Ascendant/Descendant axis relates to I / Thou matters. If clients are more focused on career/direction, then I have used noon charts. This is because the Noon or Midheaven point, the highest point of the Sun in the sky, concerns a person’s direction and vocation. This fairly simple rule of thumb I have found to work quite well, and to be quite accurate as far as it goes. And there is the point that the positions of the personal planets (with the exception of the Moon which moves 14 degrees per day) from the Sun to Mars move very little from one day to the next. One can thus gain valuable insights just by looking at the relationships between the planets on the day of birth. So, I hope this information is useful to you. I don’t do horoscope readings except in person, but can recommend a colleague who would give you a good reading using one of the options I’ve described. Just email me if you want to pursue this! This entry was posted in An Astrological Miscellany: of cusps, virgins, atomic scientists, Muhammad Ali and much, much more...(13 articles) and tagged Alfred Hitchcock, Ascendant, birth chart, horoscope, Midheaven, noon chart, sunrise chart, twelve houses of the horoscope. Bookmark the permalink. Regarding casting a chart without a birth time, if the astrologer knows the person fairly well, with a little thought and research they guess pretty close. My mother in law did not know the time of my husband’s birth, but over time I guessed his sun to be in the 6th, and I guessed his rising sign to be Cancer (that was the easy part). So I went with it, knowing it could be wrong, but it proved so many times to be spot-on with the timing of events in his life. 25 years later we found his birth certificate and you know what? I guessed the time to within 15 minutes, and the rising sign and house sun were correct. So maybe you can guess the rising sign, which is entirely impossible, by reading through the descriptions of the person’s “public” persona. I think most people, not all of course, but most, would be able to find a fit quite easily. It’s worth a try. Blessings. Thanks very much for that interesting and useful feedback, Rian. I guess that I am spoiled by mostly having accurate birth times to work with here in Scotland, thus don’t have much experience in astro-sleuthing, so it is really good to know how accurate it can be.! Same here. I hope you don’t mind that I responded…you can always choose to not post my comment–it won’t hurt my feelings none. Having married a man who didn’t know his birth time, I had no alternative. But I have over 40 years experience with astrology (nonprofessional), so it was relatively easy to say, “He’s definitely not this, and he’s definitely not that!” He’s a sensitive man with a round moon face. Bingo. Of course I don’t mind!! And these comments are for the benefit of people reading the post too….